The 8th Free and Open Source Software Communities Meeting (FOSSCOMM) took place in Athens (Greece), November 6-8th 2015 at the Technical Educational Institute of Athens. The Conference started early on Saturday morning welcoming the participants and with the key note. Various presentations about open source software, hardware constructions and some workshops took place. Presentations such as Raspberry Pi arcade, openstack, OSGeo, ownCloud, Bitcoin and many more were quite interested by the visitors. Greek openSUSE community was there with a booth and some presentations. 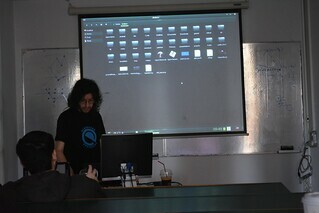 On Saturday Alex P. Natsios presented “Enlightment on openSUSE”, an alternative GUI, and the other presentation was about “openQA”. Since openSUSE Leap 42.1 was very fresh, Alexandros Vennos took the opportunity to present what are openSUSE Leap 42.1 and Tumbleweed, the differences and what to install on what occasions. Presentation had title “openSUSE – Leaping Ahead”. The booth was quite crowded. We had some left over DVDs of 13.2 but we proposed the visitors to install Leap 42.1. The question we were asked most was what is the difference between openSUSE Leap and Tubleweed and why to install and on what ocasion. We even created couple of bootable USBs from the ISOs of Leap. We had a Banana Pi running Tumbleweed with MATE playing a video loop of openSUSE Leap 42.1 KDE review. 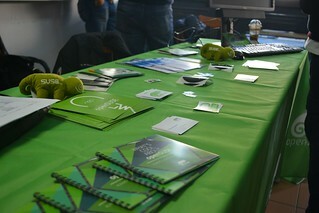 We gave almost all of our promo materials to the visitors since they were interested on openSUSE. Local open source community is bigger now and next step for you is to organise (or join) global conferences. One part of the organisation is the promotion of the conference. You want to have as many visitors as you can. I am home from the openSUSE Conference 2010 and finally landed on the sofa. I don’t know why conferences are so exhausting, but they are for me. My brain slowly becomes sorted again and starts to reflect what happened on the conference. Wow, I can say that I didn’t expect it to become such a great event. There were so many interesting and enthusiastic discussions about topics concerning the openSUSE distribution or about things you can do under the openSUSE umbrella. The fun side of community and technology was inspiring people all over, in opposite to some situations I remember on the last years conference where we had to deal with unpleasant topics. This seemed to have completely went away, instead people were aiming to solve problems together in a constructive way or, even more fun, worked on new things without so called stop-energy. It seems to me that a kind of openSUSE core-community stabilizes. 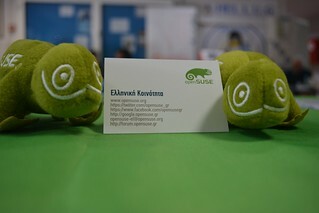 People know each other, it has sorted who finally really is interested in openSUSE and continously contributes. That builds trust, and to that adds the self confidence which results out of the good quality of the recent distros we as a community were able to release. This nicely turned out for me in the strategy discussion lead by Jos. People were supportive, sorted out issues here and there, but moved ahead and came to decisions together on a topic which had endless and partly unpleasant discussions on mailinglists before. The power of meeting face to face on the one hand, but also signs that we learned from the last years and grew up. From the talk quality the conference for me personally was one of the best FOSS conferences I have attended until now. All keynotes were done with great passion, uniquely and addressed specifically on current topics in our community. Hennes on the first day painted a good frame for the whole conference in his unique style. Cornelius and Vincent on day two were also great, they did not play friends just to let the sun shine on the conference, but for me they proofed that the openSUSE community has built a fundament were we not only accept each other but can work together werever it makes sense to tackle the higher challenges. Gerald speaking on Friday was repeating facts of the relationship between Novell and openSUSE. It was good hear it again that Novell wholeheartly supports the openess of the openSUSE project and what that means from a corporate point of view. Today Frank was introducing the project Brezen which will increase the ease of use of openSUSE a lot for the user and free software developers. Great that there is already code, I am really looking forward to see stuff coming into our distro. When we call beer “free”, we mean that it respects the users’ essential freedoms: the freedom to drink it, to study and change it, and to return empties with or without some changes. This is a matter of freedom, not price, so think of “free speech”… but in this case also “free beer” too. Why man have to choose a free beer? Because it’s open and free to use. 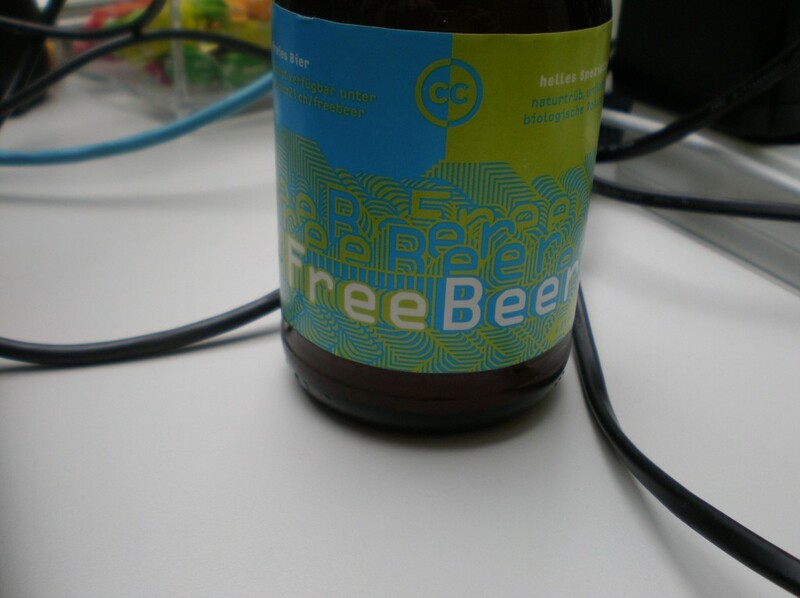 Everybody can give some feedback on the freebeer’s twitter page. The project was started by Wädi Bräu in Switzerland like “open source beer” project. On the home page you can get more information about this project, for example, news and last updates. So Stage 1 of the next openSUSE Conference is complete (submission deadline), and we are moving forward with Stage 2 (scheduling talks). I personally wasn’t privvy to last year’s submissions, but we have well over 80 submissions covering a huge range of topics this year which is brilliant. One of the nice things this year is we have submissions from other distributions and projects, which is great 🙂 The submissions from all parties cover a wide variety of topics from very technical to very fun, and it isn’t going to be easy to select which ones to accept. Thank you to all who submitted a proposal and we will let you know on 20th August whether you are succesful or not. This is a friendly reminder for all who haven’t send their talk proposals for the openSUSE Conference 2010 yet. The Call for Papers closes end of july and there are still slots available. The second openSUSE conference takes place in Nuremberg, Germany from october, 20th to 23rd. After its great start last year, we will continue the concept of a user and developer conference around the openSUSE Project including talks, workshops and BOFs. Expect everything between technical workshops about bleeding edge linux distro technology over user presentations about software to inspiring discussions with other projects, especially since the motto for the conference is Collaboration across Borders. 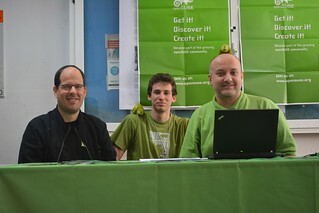 The first conference has also shown how important the openSUSE Conference is for the steering of the openSUSE project. Lots of ideas could be discussed and implemented quickly but also difficult or controversal community internal topics came up in a very contructive way and are worked on since then, some until today. That brings me to the core message of this post: You should be on the conference if you are interested in the openSUSE project in any way. If you want to help moving the project forward and influence where the journey is going, there is no better place to go. Now is the time to shape the conference – be it with a talk proposal, a proposal for a workshop, some hack session or interact with other projects to make you project a half day track or so. Everything is possible, please approach the programm committee with your ideas! Well it’s been almost seven months since our inaugural conference, and there were a load of videos taken. The problem was that our usual VT gurus have been unavailable to do any of the editing etc. So the raw video has languished on the servers waiting for some kind soul to help edit them. After multiple calls for help and nudges from the marketing team, I decided to see if I could slot it in anywhere (yay me, I’m such a hero :-P) Thankfully I had some brilliant help from SankarP who refreshed my memory on how to edit video, thanks chief! Currently only Day 1 of the conference is available, you can view online (flash) or download (ogg) the talks from the openSUSE TV channel on BlipTV. I am working on getting a channel on YouTube to enable a wider reach, as some people have bandwidth issues with Blip. You can also subscribe to the feeds in multiple formats – rss, miro, itunes. Just laptop and headphones, book and a bit eat/drink for trip time and of course rube’s cube are in my rucksack 🙂 On last weekend I was on FOSDEM. FOSDEM is probably the most developer-oriented European Free and Open Source conference/event. As usual it was in Bruxelles, Belgium on first weekend of February. I was there with another Novell/SUSE employees. Majority of they are responsible for work with community. For example, boosters team. I like such events 🙂 It’s not only interesting presentations through which you open/learn a lot of new, but also possibility to get acquainted with other developers or is simple with enthusiasts whom it is unconditional as bring the contribution to development free and open source software. The next evening I have devoted to walk across Bruxelles. It was very interesting to speak with people there. I have made a lot of photos. For sure, I’m going to visit FOSDEM in next year, but for next time it will be depends on money. Anyway I will recomend to visit this event for every Linux-/*BSD- user/developer.